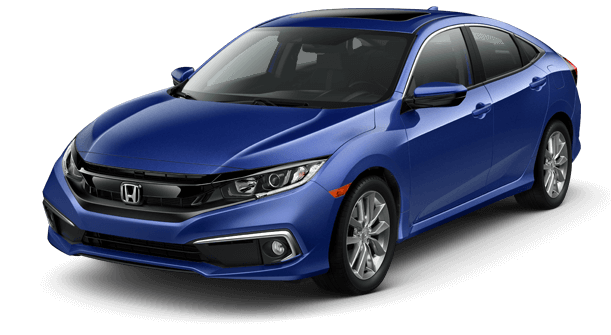 The 2019 Honda Civic Sedan gets interior and exterior styling updates as well as a new Display Audio system for a more user-friendly experience. The Honda Sensing suite of safety and driver-assistive systems, including new automatic high beams are now standard on the LX, Sport, EX, EX-L and Touring models. Additional standard features on all trims include an electronic parking brake with an automatic Brake Hold feature and a 7-inch digital TFT instrument cluster. Positioned between the Civic LX and EX is a new Civic Sedan Sport powered by a responsive 2.0-liter engine paired with either a 6-speed manual transmission or optional Continuously Variable automatic Transmission (CVT). 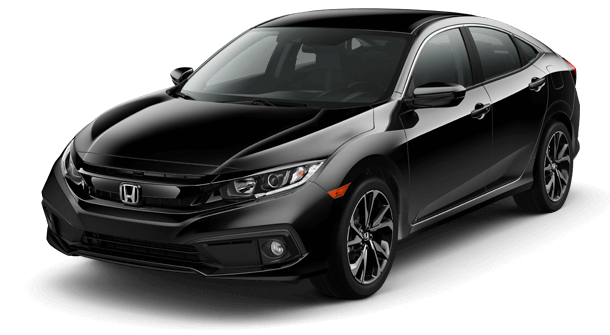 Visual enhancements consist of unique exterior styling cues such as fog lights with gloss black trim and upsized 18-inch wheels wrapped in the same all-season tires as the Civic Si. 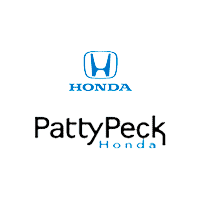 A black-painted decklid spoiler, Sport badging and a sport muffler capped by a wide, center-mounted chrome exhaust finisher styled after Civic Si complete the package. Compare the trim features on of the 2019 Honda Civic Sedan to find one that fits your needs and style. Then let our team help with the rest of your research by test-driving the vehicles you are considering.